As Frenchmen were called to join their units in a mass migration of conscripts going to war in August 1914, one man recalled that they shouted “All aboard for Berlin! And what fun we’ll have there!” Millions of men marched off to World War I thinking it would be over in a few weeks or a month. They wore a gaggle of uniforms, the French having only recently abandoned the blue tunics that they had worn since the time of Napoleon. 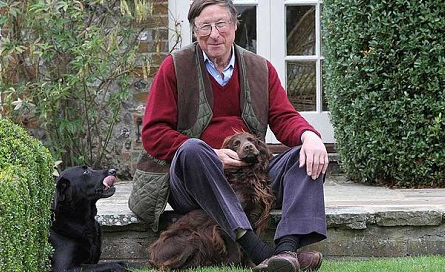 Max Hastings, one of England’s foremost military historians, has written an excellent and thorough account of the first few months of the Great War. He follows the lead up to the conflict, and the early battles in France, Serbia and what was then Russian Poland. In fact, it is his examination of the Austrian determination to destroy Serbia in revenge for the nobleman, murdered by a Serbian terrorist group in what was then Austrian occupied Bosnia, that is most interesting. Few recall today, because of the horrors of the Holocaust, how many civilians were executed in 1914. When the Austrian army invaded Serbia, it carried out hangings and mass killings of Serbian civilians not only in Bosnia, but all along the invasion route. When one considers the horror of men being bayoneted to death in mass executions, it is hard not to conclude that this evil, perpetrated by a “civilized” European power like Austria, by cultured princes from Vienna, was a foreshadow of the Holocaust. 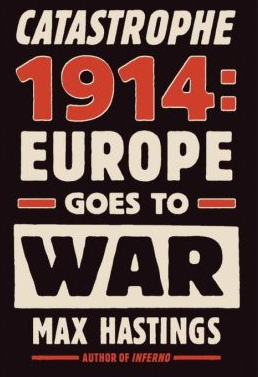 We assume that the Holocaust leapt forth from Europe, from some primeval demon set lose by Nazism; but when whole armies engage in slaughtering civilians in 1914, genocide is only one step further. In Belgium, the Germans rounded up civilians in retaliation for what they thought was guerrilla activity, and killed hundreds of people in numerous towns. Hastings’s account of the opening events of the war concentrates on the British. This is probably not a surprise; he is a British historian and the sources are readily available, and in English. The British contingent was the smallest of the forces sent to war, based as it was on a professional army, rather than mass conscription. The opening months of the war set in motion worse things to come. The trench life that marked the period, of millions of men hiding in muddy earthworks, using machine guns to slaughter their enemies, became the hallmark of the Western Front. New technologies, such as the airplane, were put to use. Huge body counts, sometimes nearing 10,000 killed in a single day, were horrific, and would lead to 10 million deaths in the next years. Unfortunately, Hastings is not often a colorful writer; the reader only rarely gets glimpses into who these commanders were. The details are all there, such as one French general who lost three sons in the war; but the emotion is lacking. The book gets bogged down in the details of some of the fights, without giving the reader a larger understanding of the canvas of battle.